Cadmus nodded a bit. "Just gather what you need to, and when you're ready to go let me know." His mind wandered back to that knight, was it possible it was Naomi's brother? It was absolutely crazy but if that one man Was somehow her brother it would make sense why the knight was doing his best to protect her in the background of things. Naomi took notice to Cadmus's wandering mind and looks over to him "Cadmus, is everything alright?" she asks "I pretty much have everything I need..." she pats the picture "So...we can leave whenever you think we should." she says. Cadmus shook his head a bit. "No, I'm fine don't mind me. I tend to over think things. I'm ready to go. Is there another place we can hole up at?" Naomi thinks "Well, no. I don't think so. All of my hotels have a suite just for me that have a panic room built in, much like this one, but given the nature of what happened here, I'm not sure if it'll be safer there, then it was here." she mumbles. Cadmus wasn't sure how this was going to work, but he had to wrack his brain for something. The way this was set up wasn't going to work at the current time, they seriously needed a major change. "Give me a minute.." Cadmus said as he got his own cell phone. "Hello? Sorry for the oddly late phone call but I can use a favor. Not sure. No, I don't think so but if I can bring her over at least for the night until we figure out something long term I'd appreciate it. All right then I'll bring them by." Cadmus put the phone away. "For the rest of the night, we'll be staying at Lady Kazenabi and hers until we figure something out long term. She's a lot more powerful then me, if you aren't safe there then we aren't anywhere. She's a friend of Espen Goldsmith. Lucky for us she's in town, apparently something involving her people. Anyway since this is your rodeo, is it all right we got there? We'll go by portal since it'll be harder to track, at least throw them off for a couple of minutes." Naomi wasn't familiar with the name, but if she was a friend of Espen Goldsmith, she must someone important, still, she didn't like involving others in this situation if it could be helped at all. She looks over to Cadmus and shrugs slightly "Well, you're my bodyguard, so you'll know better then I what to do in a situation like this." she says "If you believe going to this woman's estate is the best idea, then I agree with you on it." Cadmus nodded and then opened up a swirling portal. "Go ahead and step through, I'll be right behind you or it'll close behind me." When they got there was a rather large home, though it seemed to be put in a more 'older' style, it was also gated. Cadmus knocked on the door before it cracked open after a moment. "I was expecting you two. Please come in." 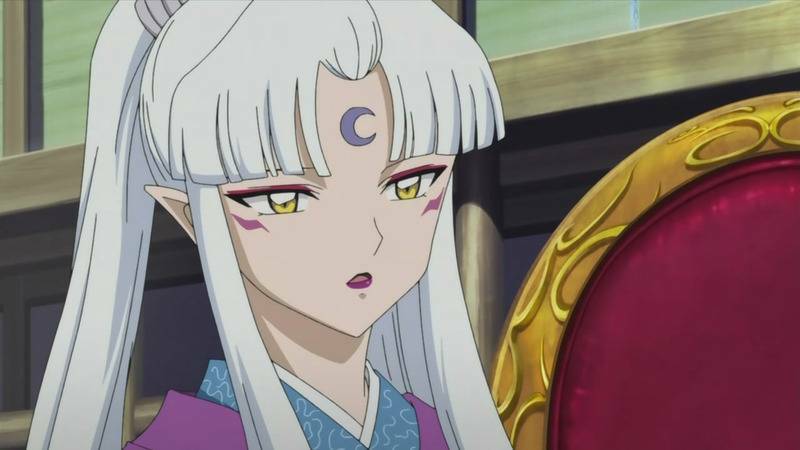 Inside was about the same style as the outside but at the moment the most important feature was the rather tall woman in front of them, silver hair, yellow eyes and a strange birth mark on her head with slightly pointed ears. She had a beauty about them that reminded people of looking back in time to older generations. "I'm Lazy Kazenabi, I've heard a bit about you Naomi was it?. It's a pleasure to meet you." Kanzi said with a smile as she extended her hand. Naomi accepts her hand "Naomi it is." she says with a smile "Thank you for taking us in. We won't be a burden and we'll be leaving as soon as we can." she says. She still didn't like involving others in this matter. What if Tylon finished their ultimate Zoanthrope and sent it here? Cadmus said this woman was strong, but so was Ross and if they perfect the technique, would this Zoanthrope be even stronger then Ross was? No, they had to get another secure location up and fast. No one else should be getting hurt because of her. Kazenabi turned to the corner. "Sazuka, keep a eye on things with the others for our guest." There was a figure in the shadows, a woman in dark clothing who nodded. "Of course mistress." She vanished in a flicker of movement. "I said not to call me that anymore." Kazenabi sighed before turning on her heel. "I'll show you where you'll be staying for the night." She lead them up the stairs and into one of the rooms, it had two beds. "You two can share the room or just take seperate ones as they're both empty and nearby. If you need me, I'll be across the hall in my office. I have a lot of fun paperwork to do. You two have a good night." Cadmus watched her leave and turned to Naomi. "Considering what happened, I'd feel better being close by just for tonight until we can hash out something more concrete tomorrow with Johns and the others." Naomi blushes slightly "O-oh, well, you're the bodyguard , so you would know best what you need to do to protect me." she mumbles "So, um, I'll go along with whatever is easier for you to do that." Cadmus nodded and lead her inside, closing the door behind them while he went to a shelf and grabbed a book and took a seat by a night stand. If he was going to stay up, may as well keep himself occupied. Inside were two beds, a bathroom and a few other things. Overall it had a pleasant feel to it. "Go ahead and get some sleep, I'll take watch." Cadmus hoped this was the last bit of excitement they had for tonight. Between Kazenabi and hers, and not being able to instantly track her should give them some breathing room. At least to hold for the night. "O-okay. Thank you." she says with a shy smile as she heads into the bathroom for a quick shower. As the water caressed down her body, she wondered if it was alright not telling Johns where they were going and just as importantly, she was wondering what she was going to wear to bed. She had left all her clothes behind. That was something that occured to Cadmus as well, thinking about it. He was going have to ask Kazenabi or the other resident ladies if she could borrow something while she was here. Johns was also a concern, he'd have to ask Naomi for his number to contact him. As for himself, we'll he didn't plan on getting much sleep he'd just rough it on his watch. The Heartless turned towards where Naomi was getting a shower before leaving the room, coming back in a few minutes with some clothes in hand for Naomi to wear. He knocked on the door. "I grabbed you some clothes thanks to Kazenabi. I'll leave them outside the door." He tried not to think about the fact she was taking a shower, had to be a bit professional on the job but it didn't mind he didn't think about it. Naomi peeks out of the bathroom, spies the clothes "Oh! Thank you, Cadmus." she says, giving him a quick smile. As she reaches for the clothes, her bare breast briefly comes into view. She didn't seem to notice, or care if she did, as she disappears back into the bathroom. It was a few minuets before she comes back out, dressed in what Cadmus got her. A strange thing about Naomi, while her hair was damp, it actually seemed to sparkle in the light. She climbs into one of the beds "Good night, Cadmus. Stay safe." she smiles at him, before turning the light off. Cadmus tried not to notice the fact he could see her breast for a moment but he definitely did. It was that and the sparkle in her hair(which he found strange in the sense he hadn't seen anything like that before) was greatly distracting to him. For a brief moment, he considered making some sort of overt move against her before bigger heads prevailed. "Good night. Before you go to sleep, you have Johns number?" Only thing he knew for sure, he'd need a shower to cool down a bit since it was a bit uncomfortable or at least think of something else before it went away. Certain parts of the male experience were annoying at times. Naomi blinks in surprise, then seems to come to her sense "O-oh, um, right. Well, the PDA that you got should have Johns contact information on it and it can even make calls to people, or text messages." she says "It's also encrypted, so you shouldn't have any worries getting ahold of anyone." she says with a smile, before snuggling back down to sleep. The Heartless wondered what that was but shrugged mentally and went back to his duties. He would have liked to sleep but at the moment he had to keep Naomi safe so it would be a long night of staying up for a bit. Luckily he was a night person anyway. Naomi seemed to be sleeping soundly for a few hours, then a nightmare set in. She started breathing hard, breathing her brothers name softly, asking him not to leave her and then, there was a tear. A single tear rolls down. Cadmus's PDA buzzes. It was Johns "Understood. Miss Sylibus has a small cottage just outside the city, near the mountains, I'll get that all set and ready. You can take her there tomorrow." he texts back. Cadmus was pleased from what he heard, but then noticed something bothering his charge. He frowned as he stood up; Naomi was having a nightmare of some kind. He had plenty of those himself in the past. He went over to gently wake her up, a bit concerned. Cadmus wasn't sure why he cared about the woman a bit more then the norm consdering the time he knew her had been short. Maybe there was just something there that drew him in. Who was to say? Naomi wakes up with a startled gasp as she sits up and looks around wildly, trying to figure out where she was. Then she remembered and calmed down "What, happened? Was there another attack?" she asks. Cadmus shook his head. "No, we're plenty safe still. It's just you were having a really bad nightmare so I got a bit concerned." Naomi blushes slightly "O-oh. Well, thank you for your concern." she says, flashing a weak smile at him, then looks down at the sheets "I was, dreaming about my brother..." she mumbles "He...died, about three years ago. I never even got to say 'Good bye' to him..." she mumbles, feeling tears springing in her eyes. Cadmus sat down by her with a sigh, hesistaning a moment before giving her a sideway hug. "That's always the biggest thing. We never get to say goodbye, not truly anyway. I know what its like to loose family." He pulled out a picture, it showed a beautiful woman and a girl, around seven or so. "This is mine, we'll was. Mina and Faye. They died years ago. Naomi, the pain you feel..it never goes away completely. At best you just learn to deal with it if someone you truly care for passes on. We haven't known each other long, but I consider you a friend, so I'll do what little can to help you." Naomi lays back down and pulls the blankets back up, not saying anything, as she tries to go back to sleep. She really didn't have anything To say. Each person deals with the loss of a loved one differently and one can't expect the same methods that worked for one person, to work for another. Naomi didn't have the full story about Cadmus and losses, so she couldn't judge him (not that she would), but on the flip side, he didn't have the full story about her loss either. Cadmus didn't expect Naomi to say anything and he went back to trying to focus his mind on other things. His mind was distracted, he guessed it was in a way good because he'd have a even easier time staying up. Emotions, who needed them. At least for himself.